Flower Girl Pomander - Ball of Natural Touch Roses! YOUR Colors! Flower Girl Pomander - Ball of Orchids and Roses! YOUR Colors! Flower Girl Pomander - Ball of Plumerias and Hydrangeas! YOUR Colors! 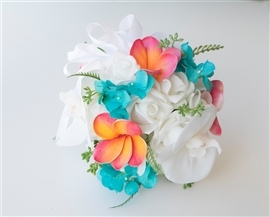 Flower Girl Pomander - Ball of Orchids and Plumerias! YOUR Colors! Flower Girl Pomander - Ball of Gerberas and Roses! YOUR Colors! Flower Girl Pomander - Ball of Hydrangeas and Roses! YOUR Colors! Flower Girl Pomander - Ball of Roses! YOUR Colors!